Patients in Florida are one step closer to having access to a choice in their medication after Florida’s Legislature finally passed a bill legalising medicinal cannabis. 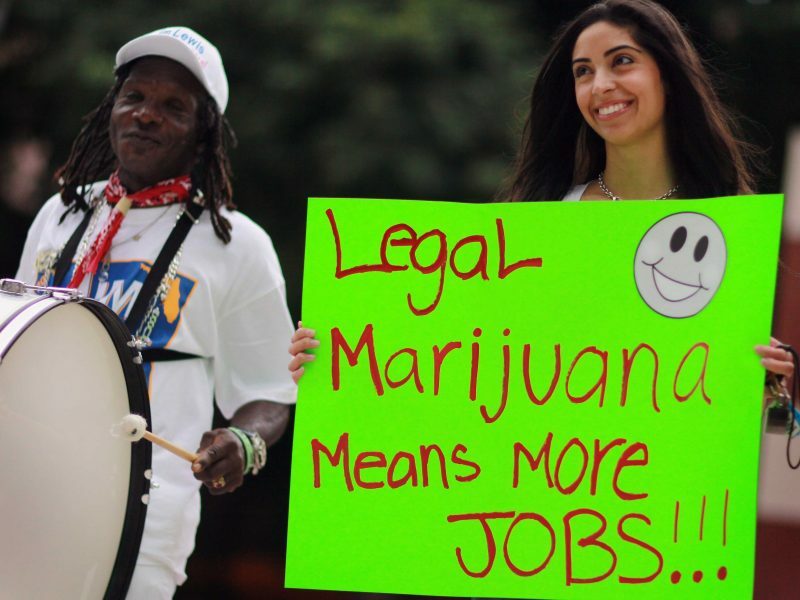 Florida’s Senate passed the medicinal marijuana bill 29-6 votes in the Senate and 103-9 in the House. Governor Rick Scott, formerly vehemently against legalising cannabis even for medicinal purposes relieved many when said he “absolutely” will sign the bill. The bill will undoubtedly change the lives of thousands of desperate patients in Florida. Instead of turning to street dealers for unregulated cannabis, patients will now be able to get a medicinal cannabis recommendation for a 70-day supply, with two refills before having to go back to a doctor. The 90-day waiting period which was contained within the 2014 law no longer applies, meaning patients will be able to get a recommendation from a doctor for medicinal cannabis immediately. However, there are still some restrictions contained within the bill, for example, smoking cannabis is strictly prohibited, although the proposed bans on vaping and edibles have been removed. Patients will also qualify if they have chronic pain related to one of the named diseases or are terminally ill. While that may sound like an exhaustive list of those who are desperately in need of medicinal cannabis, the bill has overlooked those who use cannabis to aid with their mental health, such as those suffering depression or anxiety. Patients will have to be examined by a doctor in person if they want to receive a recommendation, with telemedicine (remote diagnosis and treatment by such means as phone or email) being banned under the bill. Children will be able to be prescribed medicinal cannabis as well, but must receive the recommendation of two doctors to receive it. Pregnant women are banned from being prescribed any medicinal cannabis except from low-THC (the psychoactive cannabinoid) products. Doctors will have to have to complete a two-hour course administered by the Florida Medical Association or the Florida Osteopathic Medical Association before being able to recommend cannabis to their patients. The course will cost $500. However, doctors who have a financial interest in cannabis, e.g. in a grower or testing lab, are banned from being able to prescribe cannabis. Florida’s doctors will also responsible for checking the state medical marijuana registry to make sure their patient is on it, and adding to it the fact that their patient has now been given an order for marijuana. One of the most significant parts of the bill is the fact that it gives $750,000 to the Moffitt Cancer Center in Tampa to conduct medical marijuana research. It will also create the Coalition for Medicinal Cannabis Research and Education at the cancer center, which will also be responsible for research into medical marijuana. All of these changes in the state medical marijuana industry will go into effect as soon as Florida’s Governor, Rick Scott, signs the bill into law. Fortunately, it looks like the Gov. will pass the bill which has received enormous support from Florida’s politicians. Scott said he “absolutely” intends to sign the medical marijuana bill passed Friday by the state Legislature. What do you think of Florida’s medical marijuana bill? Is it enough or do you think there is room for improvement? Would you like to see cannabis legalized for medicinal use in your country? Let us know in the comments!